Outdoor storage cabinets are made of 12/10 thick carbon steel structure coated with polyester and are equipped with side ventilation grids, inclined roof, swing door, double key lock handle. In addition, the outdoor storage is provided with safety stickers as required by current regulations. 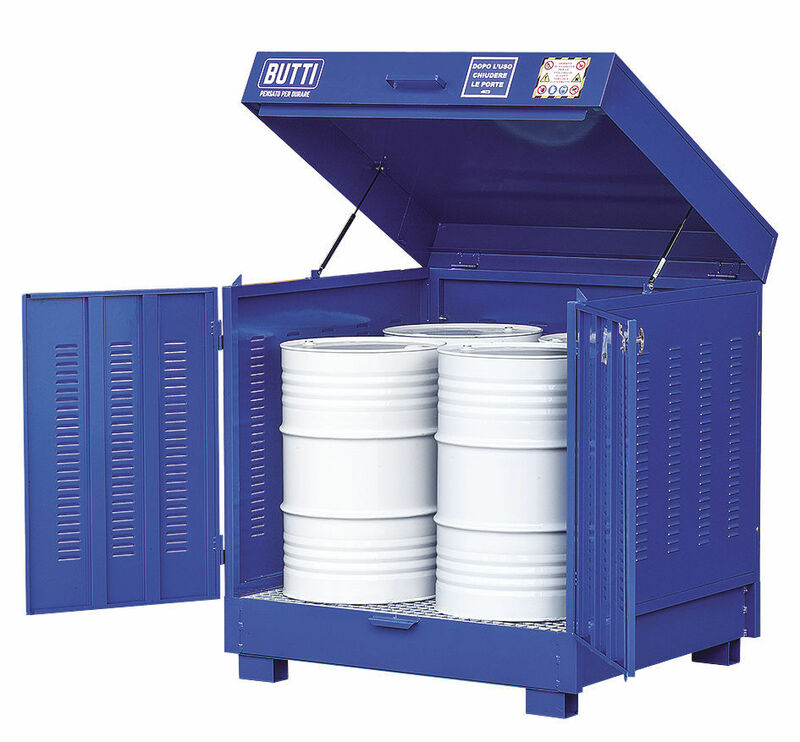 Outdoor container for 2/4 drums. VOLUME 262/340 lt.